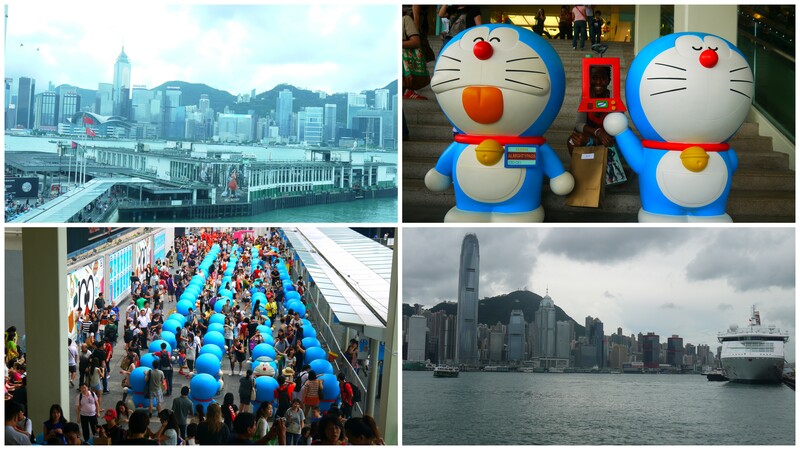 After frolicking around in way-too-expensive stores, my roommate and I did some sightseeing and touristy stuff in the famous Tsim Sha Tsui (TST). Right outside Harbour City mall were loads of statues of some popular Japanese character that I had never heard of. I still don’t know what it is/what it’s called. We had of a great view of the harbour, and just a fraction of the HK skyline. We ended the day with lunch/dinner (lunner?) in some underground food court. 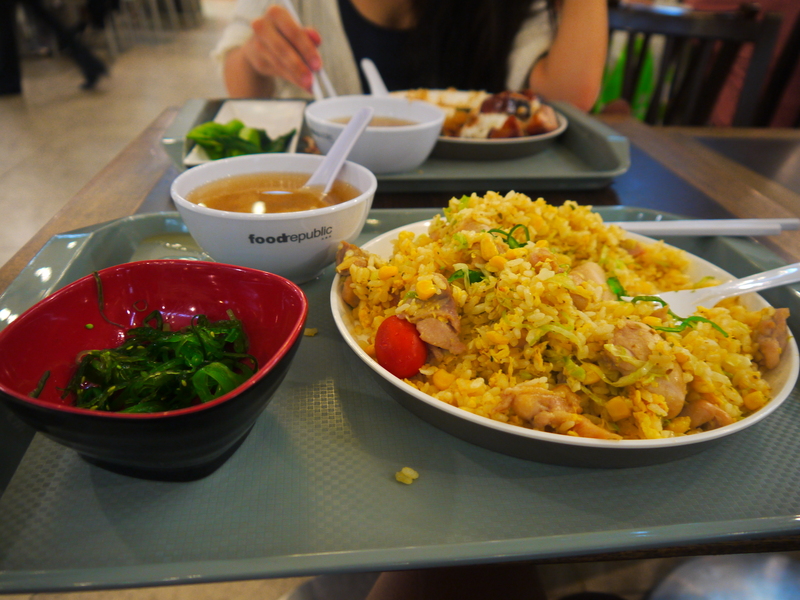 I had some chicken and eggy fried rice thing that wasn’t worth the HK$62 I paid. It wasn’t terrible, and I guess the green vegetables in the small bowl made it a bit better. I didn’t try the soup because it smelled gross. But all in all, I had a great time. I had too much fun for a weekday. I ended up too tired to even think of going out at night. Notice the chopsticks shoved behind my plate. I promise to learn how to use them soon! Just not with rice. This entry was posted in Food, Fun, Hong Kong. Bookmark the permalink.